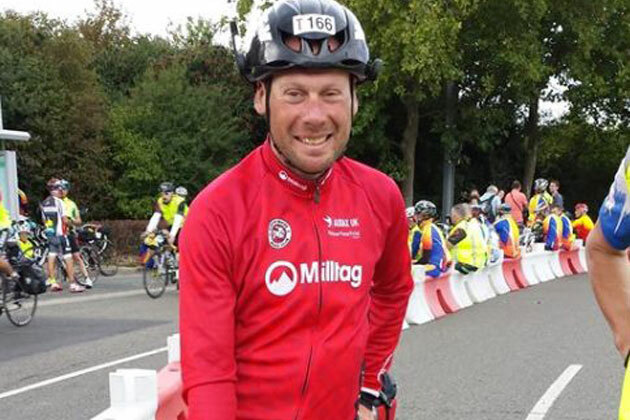 Steve Abraham has ended his attempt to set a new cycling Highest Annual Mileage Record (HAMR). Abraham started his attempt on January 1 2015, with the intention of riding until the end of the year to break Tommy Godwin’s 1939 mark of 75,065 miles. However, he was hit by a moped in March and broke his ankle. This forced Abraham to take a break from the attempt, and he subsequently ‘reset’ the attempt timeframe in August 2015, intending to carry on until August 2016. Meanwhile, American Kurt Searvogel bettered Godwin’s record in January, elevating the record to 76,076 miles and effectively changing the daily mileage target for Abraham. Another rider is also attempting to set a record for the most number of miles ridden in a year. British-based New Zealander Dave Bruce Berkeley started his attempt at the beginning of January, but has been disqualified by the Ultra Marathon Cycling Association for not complying to its regulations. Berkeley is carrying on regardless, and has said that his record attempt will be ratified by Guinness World Records.